Loving you is the most beautiful thing that has ever happened to me. 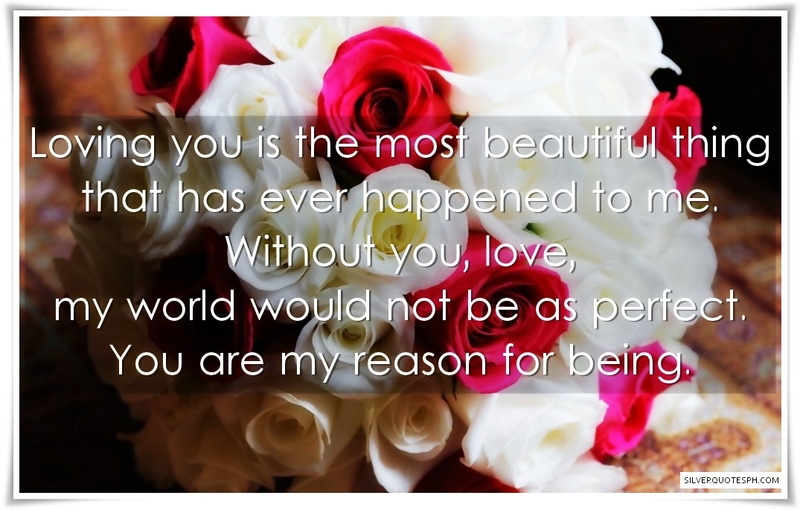 Without you, love, my world would not be as perfect. You are my reason for being.